Thanks for showing us these Wally. These old sales catalogues are as rare as hen's teeth. Is the whole folder full of sales catalogues? I would love to see more if possible. Don't suppose you have any catalogues for the Bowhouse sales, or for that matter anything on the CVD at Irvine ( sometimes called Eglington). I've been looking for a few years without success. John I have some notes from Bowhouse sales- somewhere mostly CD Austin rescue tenders I will dig for them; Did you get the ser 2 cd pics I sent ? I can see the RNs but the RAF ones aren't e.g. 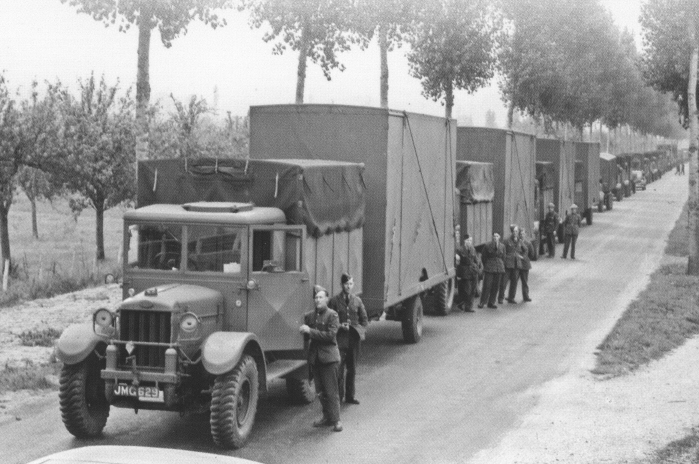 the Commer Prime Movers on the second page are RAF . 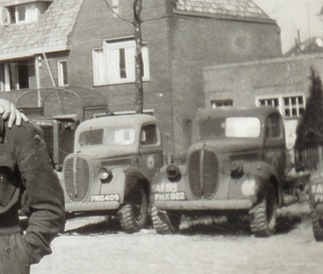 Interesting a couple of RAF items still on Middlesex CC reg plates; I have photos of RAF stock from circa 1938 still on Middlesex plates when stationed near Antwerp late 44 /early 45 .
all interesting stuff look forward to any others ?? Forget the jeep at £145 - what about a Morris CDSW Bofors tractor at £90 and the Humber PU at £70!!!!!!!!!!!!!!!! Tony that's correct, to give comparison in 1947 we were building two bedroom bungalows for clients in their gardens for £1200 ready to move into! Eight jeeps at today's prices would get about half way there if you are lucky. Many thanks, I did indeed get the photos, I'll email you later tonight once I have had another look for the FC Land rover info. You are right - 145 was a fair bit of money. I recall my dad in the 1960s buying K9s for 100 and discussion in the household revolved around that being a heck of a lot of money. They replaced Allis Chalmers tractors and trailers - older tractors could be picked up for a fraction for that. I suppose by cross referencing Wally's lists against the "Allocation by Central Census of W.D. Numbers" book you could discover the army vehicles. The Royal Navy ones are easily found so by elimination those that are left must be RAF, or is this too simplistic? Also Ted, how do you know that it is a RAF vehicle when it carries a Middlesex C.C. reg. plate? Did the RAF have a block/s allocated just to them? Dusty prewar Army carried both a CC reg and a army census number- the latter often in very small size with the CC reg normally on a standard number plate- if you have a look at the IWM photo collections masses of examples; The RAF don't seem to have started a formal census numbering system until ealy 1941 or possibly late 1940. In the UK the vast majority of vehicles were registered with Middlesex I have always assumed because the RAF administrative depot was at Uxbridge. There are oddd examples of other counties but mainly Middlesex. When I look at lists I tend to look at the vehicle types & manufacturers. Fordson 6x4 were the Sussex then the WOT1 - these were major RAF types not so common in the Army, another example is tillies, there is no record of either the Austin or Morris being a standard RAF type but the Hillman was as was the larger 14 hp Standard. The Commer prime mover was the tractor unit for the aircraft salvage trailers- both QMs and flatbeds, again a type not common to the Army. . 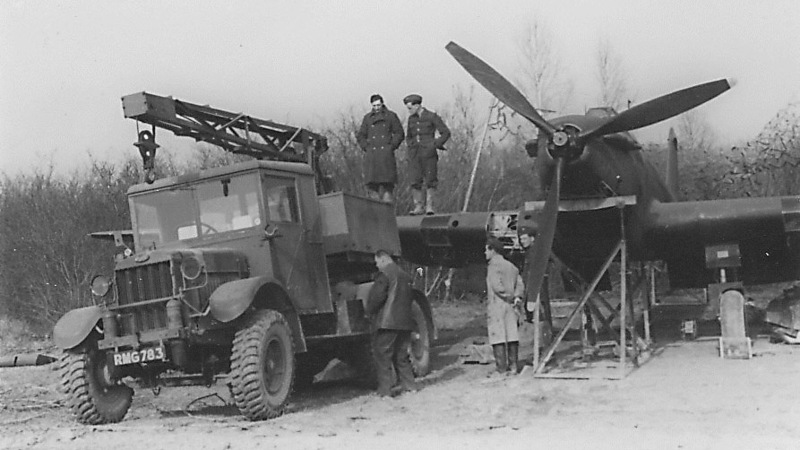 Attached are 2 shots FRance 1940- many of these pre 1940 vehicles continued until post WW2 on just a Middlesex CC number and never displayed an RAF census number. - the 945 sqn picture wasa taken near Antwerp in late 44 /early 45 and 2 Fordson Sussex trucks still displaying their Middlesex CC numbers. The army also had Middlesex registrations prior to about 1940, so looking through the catalogues, I have already spotted Army vehicles still recorded with the civil registration. So it cannot be assumed in all cases that a Middlesex number is RAF only. Here is an example from post #18, AEC Breakdown Lorry 5ton 6x6 ....... reg no BMM590, now that sounds like a AEC R6T, if so then that has to be Army. Hi Richard yes I thought a few of the Army's carried on on civvy plates, but the reg coupled with the vehicle type is a fairly safe indication; At the outbreak of WW2 they didn't have many tyupes common to both ?? ?